Center who was selected 16th overall in the 2015 NHL Draft by the New York Islanders. 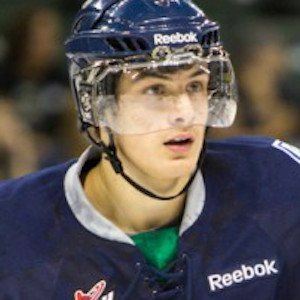 He initially played for the Seattle Thunderbirds of the WHL. He was drafted first overall by the team in 2012 and developed into an NHL prospect. In 2014, he helped Team Canada's Under-18 team win the bronze medal in the IIHF World U18 Championships. In September 2015, he signed a 3-year entry-level contract with the Islanders. He was born and raised in Coquitlam, British Columbia, Canada. He was drafted to the New York Islanders team, coached by Jack Capuano.